ONDAMED® Therapy may help you rebuild your health! Research shows that low frequency, pulsed electromagnetic fields (PEMF) can stimulate healing processes in your body. 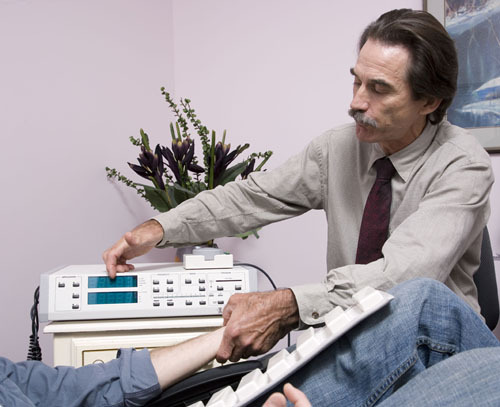 Through biofeedback scanning, the peerless ONDAMED® system enables us to select frequencies to apply as “energy therapy.” And then ONDAMED® delivers these tissue-specific frequencies therapeutically, precisely targeting your issues. There are only 15 locations in North Carolina that provide this therapy. We apply these specifically tuned frequencies as magnetic pulses that induce enhanced production of micro-currents associated with regeneration, activating healing responses in the targeted tissues. According to Dr Kessler, these micro-currents have electrical balancing effects that make them powerful antioxidants as well. Oxidation of tissue is widely regarded as a primary factor in accelerated aging, so ONDAMED®’s safe, gentle electromagnetic energy waves could help you postpone the pathology of aging as well. Specific frequencies address common conditions such as arthritis, osteoporosis, pain relief, stress, sleep disturbance, addictions and candida infections, among many others. Can you benefit from ONDAMED®? 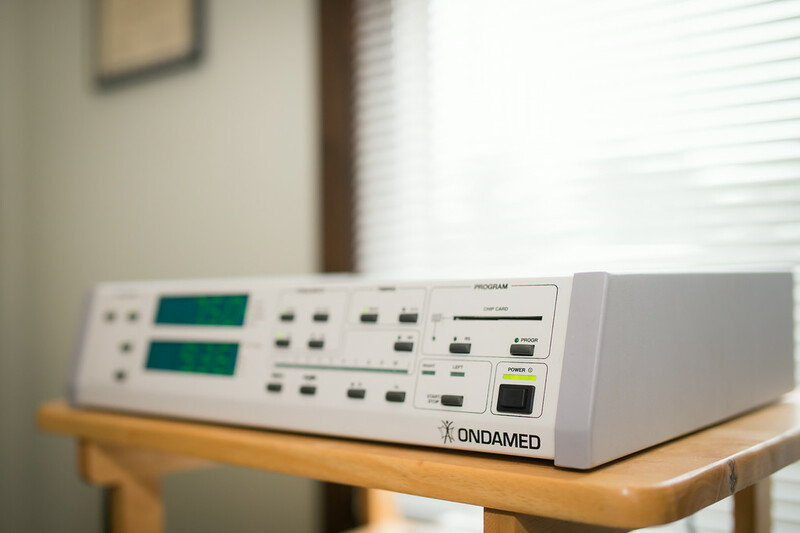 WHAT HAPPENS DURING AN ONDAMED® THERAPY SESSION? During an ONDAMED® session at Healing Ways, the client sits or reclines comfortably in a chair, fully clothed, and the session typically takes up to an hour. The practitioner places applicators appropriately and scans the body with a range of supportive frequencies to determine which ones are best as therapy. Individual results vary. Programs addressing chronic conditions usually work best with repeated applications over weeks or months. Other therapies may give lasting benefit with just one application.